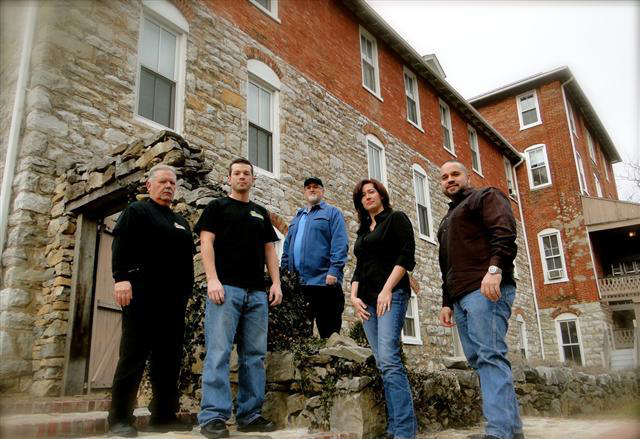 Frank, Jonathan, and other members of AdventureMyths (Mike Gray, Dusty Cassidy, and Victoria Rickett) do what most paranormal investigators dream of doing: they legend trip and some of the coolest places in America — and abroad — in the pursuit of history, haunts, and folklore. They reveal details about their newest production featuring [Haunted] Jordan Springs in Virginia. Jonathan Ness: I have always had an interest in the paranormal and had long had a desire to get involved in the investigation side of it. I was a “contestant” in a pilot episode that was being filmed with a paranormal investigation group in the Washington D.C. area some years ago. While the pilot was never picked up, the group noticed my skills and dedication to paranormal investigations. The decision was made to bring me in to the group as a member shortly thereafter. I learned the basics of conducting an investigation while in the police academy and that made it easy for me to learn investigation as a new member to that group. Frank Polievka: I have always been fascinated with hearing stories of people who allegedly have come into contact, witnessed or experienced some level of paranormal activity. I was working a part-time security detail back in 2003 at Historic Sotterley Mansion in St. Mary’s County, M.D. I snapped a photo of what appeared to be an apparition coming down the stairs inside the mansion while on a patrol outside of the house looking in. This photo of the unknown lead me to pursue others that had the same thrill of researching the paranormal. DKS: I think one unexpected aspect of today’s paranormal investigative scene is how much media technology one embraces, either through evidence review or in PR for a group. How did you learn about filming and editing? Was there a steep learning curve? FP: Back in 2005 I worked on a project with Puritano Media Group for a ghost pilot called The Haunteds. It was during that project I worked with Dave Constine who was the chief videographer and producer for the project. I learned from looking over Dave’s shoulder while Dave filmed and edited to create and produce the pilot. I began to pursue my own education on filming and editing with different software and cameras I learned on Windows that was the first platform until I graduated to Pinnacle Studio and now currently work with Avid. I have worked on Final Cut Pro on the Mac and find the Avid software platform a lot more user-friendly and just as dynamic as Final Cut. Over the years I have become my own teacher and my own student learning from my own mistakes and constantly reading, learning and absorbing from all facets of the film world constantly trying to pursue and isolate my own creativity to be unique and different than any other source available. JN: One thing we try to do is take the human interference factor out of EVP sessions. We have worked with recording EVP questions then playing them back at the investigation location as a second recorder is recording. We wanted to work with this to try and take out the risk of people inadvertently moving or having sensitive recorders pick up sounds like stomachs “growling” to later be interpreted as something paranormal. This process has grown to where we now use what we call the “ghost communicator.” This is a two-way device that allows us to be at a neutral location and ask EVP questions while monitoring for any sound or responses at the target investigation location. With this device, we are also able to monitor the temperature of the investigation location as well as set the unit to alert us by vibrating if sound is detected in the investigation location. The unit that is left in the investigation location has a blue light on it that can be controlled from the neutral location as a possible attraction device for any spirits in the investigation location. Of course, at least one camera is left to record the target investigation location as well. FP: One of my favorite experiments is what I call “Going Dark” – you’ve experienced this with us, Deonna, at the USS Carolina. FP: “Going Dark” is basically when you turn off all of your recording devices and have nothing running at all. When its pitch dark and you’re in what YOU believe is a haunted environment your perception of what’s around you intensifies considerable. We like to bring in a third party to the experiment that is not part of our group and that individual becomes our human recorder. Recently on an investigation at [Haunted] Jordan Springs, Jonathan and I experienced an intense energy experience in the billiards room by “Going Dark.” The uniqueness of this experiment is we could actually feel the energy in the room and experience it move when we got close to it. We both experienced goose bumps in 85 degree heat? It was a powerful feeling that stayed with us for several minutes as we pursued it from one room to the adjoining room. It was as if the spirit or energy mass could not leave the room. Sometimes I think investigators depend on electronic equipment a little too much and not enough time on their own abilities to sense what’s all around them. DKS: You anticipated my next question: [Haunted] Jordan Springs. Explain why this particular project is significant. 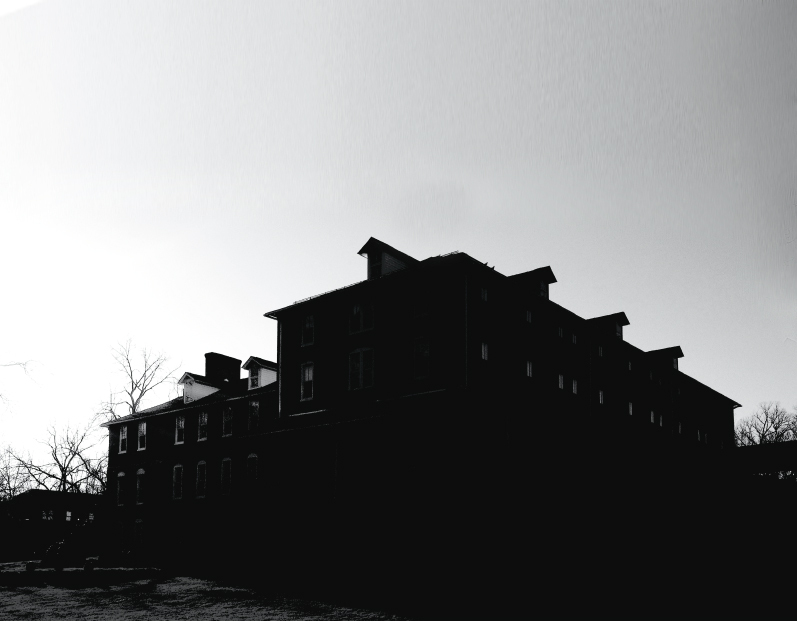 JN: Not only have we collected some fantastic evidence there, as has Shenandoah Shadows, but I truly believe [Haunted] Jordan Springs (HJS) in Virginia is the next paranormal “hot spot destination.” Just as people will travel to investigate Waverly or Eastern State Penitentiary, I feel HJS will one day soon be one of these “must investigate” locations. I have no doubt that the popular paranormal televisions shows will want to work with HJS in the near future. FP: The Haunts of [Haunted] Jordan Springs was a very exciting project to work on. We basically sat down with the client back in October of 2010 and explained what we believed we could do for them. They are not in need of preservation as the facility is maintained by events and space rented by public and private entities, however because of the paranormal activity captured there the owners wanted to create a marketing video to help promote the paranormal side of the location. We basically explained what we had in mind an in early July of this year the project was completed. I think by far this project was some of the best filming Jonathan has done and the best editing I have done so far. As of early August of 2011 a network has viewed the documentary and was inspired to create an episode about [Haunted] Jordan Springs. This episode has been filmed and is currently in production for a fall of 2011 release. JN: To keep doing this hobby that we love to do! I want to see the group continue to work with fantastic historic locations and try to help them as much as we possibly can. Currently, we are very busy getting ready to travel from the Washington D.C. area to Lexington, Kentucky to take part in ScareFest, September 23-25. We will have a booth there, give a presentation on “Preserving Haunted History on Film” and possibly have our latest documentary screened. I am confident that opportunities for 2012 will come along as a result of ScareFest.